Maps help tell your story. 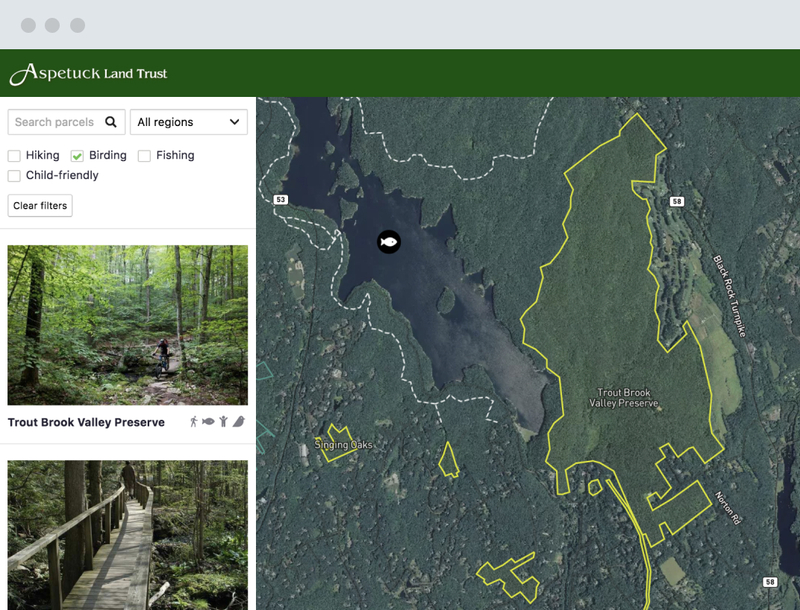 We build beautiful, interactive maps for your website that will help your members discover and connect with the open spaces that your land trust works to protect. ▲ Check out our map for Aspetuck Land Trust! 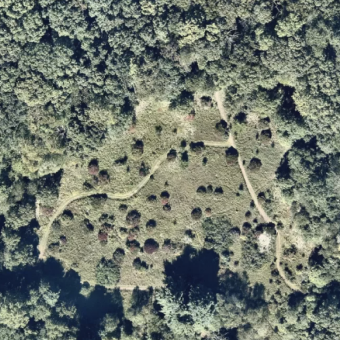 Our high quality satellite imagery lets your land speak for itself. 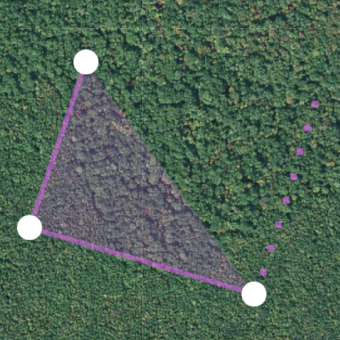 People form deeper connections with your mission when they can see the trees, trails, and fields. 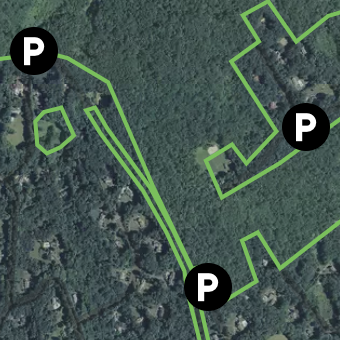 Allow visitors to explore your preserves by highlighting parking lots, activities, trail access points, ecological benefits, and one-click access to directions. Each map can be tailored to meet the needs and branding of your organization. We work with you to make a map you will be proud to show off. Use our content management system (CMS) to add and edit custom text, photographs, and property boundary information on your map. No technical background required. Get a map for your land trust! 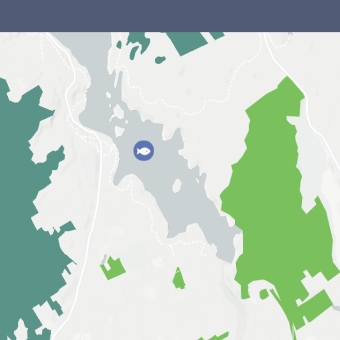 We want every land trust to have a great interactive map at an affordable price. Our prices range from $25–75/month depending on the size of your organization, with discounts available for organizations that need them. To get started, contact our team and let us know a little about your land trust map needs.